Like and proceed with the Treasure Island Sailing Center! Since 1999, TISC has offered over 10, 000 childhood and grownups as a non-profit company and an United States Sailing Certified Community Sailing Center. We just take pride into the top-notch our skillfully staffed academic programs and our ample childhood scholarship options. We've over 100 boats within fleet! TISC is available to people and ALL are asked to understand to sail and explore the water safely. 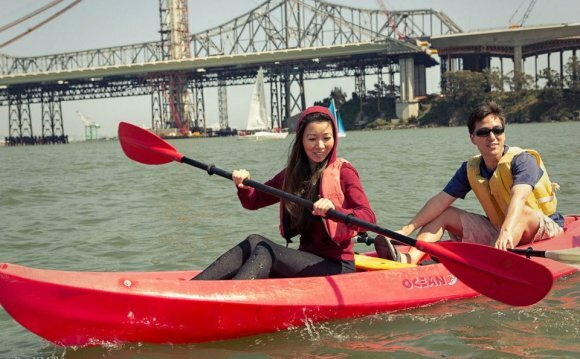 The Treasure Island Sailing Center offers cruising and water-based activities classes to youth, adult, and transformative sailors. Beginner through advanced courses readily available for cruising, kayaking, and stand-up paddle boarding! Groups and community businesses welcome. Scholarships are offered to any or all who meet the financial requirements. Visit our grant page to see in the event that you or your childhood team qualifies for free cruising lessons. The Treasure Island Sailing Center is a 501(c)(3) non-profit organization whoever function would be to enhance our community and also the recreation of sailing by giving accessibility, services, and cruising instruction to individuals of all socioeconomic backgrounds, skill levels, and actual capabilities.